His steadfast commitment to the well being of all people will surely be missed. But his teachings will carry us forward to continue his great work. Sincere condolences to his family. 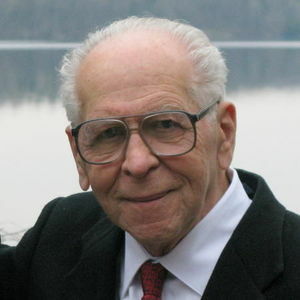 Even though Dr.Szasz & I have not met personally , I loved him very much ! He was one of the greatest humanitarians of this lifetime ! I am personally greatful for all he has done for all of mankind ! I am happy to say I'm on his team !Thank you Dr. Szasz for loving all of us enough to put ethics before profit and crimes against humanity ! My deepest condolences to his family & loved ones ! I am the mother of an adult son who has been hospitalized a number of times. Unfortunately the world of psychiatry and psychology that is supposed to help our son and us as his parents and care-takers have only managed to give us a label, a life-term promise of no return, and damaging medicine. Thank you Dr Szasz for your information that we could tap into that continues to make it possible for us to stand up for the real truth about psychiatry and ultimately to bring about the recovery and liberation of our son and millions of others who suffer from mental/emotional distress all over the world. Dr. Szasz was a hero of mine early in my studies as a psychologist. His irreverence about the traditional view of mental illness changed forever how I saw clients and people who were struggling with emotional or cognitive difficulties. I am privileged to have discovered his writing when I was a young student. Blessing to his family and friends. Dear Thomas Szasz, With superlative vision, you saw the truth clearly, then fearlessly told us the truth with clear speech. Those who listen, hear, and understand, love you dearly. Greater heights, building on your foundation, we'll reach. You became a part of me, and shall remain so. Thank you, magnificent man. Thomas Szasz wrote some truly great books that helped to liberate many people. These books helped many psychiatrically labelled people see how false the label of mental illness really is. This label, or collection of labels, is used to control and oppress people rather than to help them, although practically all psychiatrists other than Szasz claimed to be "helping" people. Psychiatry is the sort of "help" that no one would want. It is the kind of "help" that suppresses and often disables people, rather than helping them.